Help DUC conserve what matters to Canadians: our water, wildlife and quality of living. 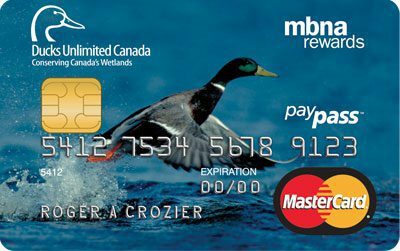 Become a DUC MasterCard® credit card holder today to get the credit card that contributes to conservation while offering you valuable benefits. It’s easier than ever to help conserve essential habitat by simply making everyday eligible purchases. 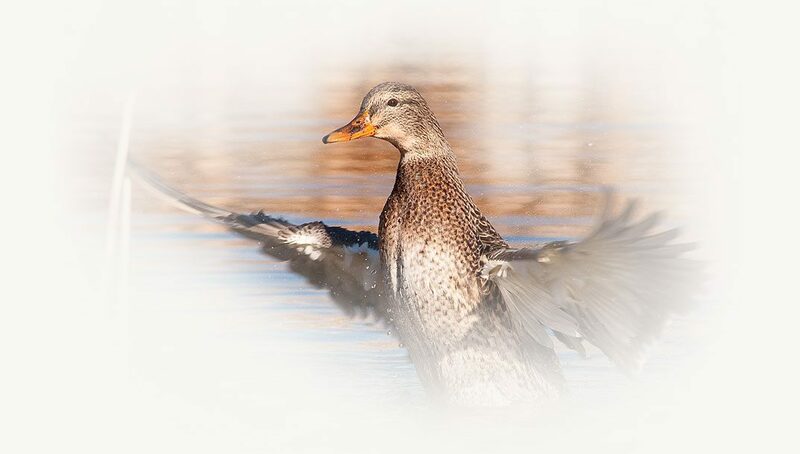 Together, DUC MasterCard® cardholders have contributed more than 4 million dollars toward DUC’s conservation mission. Why sign up for a DUC MasterCard® credit card? ✓ Give to conservation with every eligible purchase. ✓ A DUC MasterCard® gives back to you. Choose which benefits are important to you from two premium DUC MasterCard® credit cards. Save money or earn points toward cash back, travel and products. As a dedicated conservationist, you may also choose to redeem MBNA Rewards points for cash and donate this cash back to DUC. ✓ Already a DUC supporter? Take your support to the next level. or buy DUC fundraising event tickets online. Choose the DUC Mastercard® credit card that fits your lifestyle: save money with a low promotional rate† on balance transfers✪, or earn points‡ toward cash back, travel and brand-name products. † Promotional AIR offers remain subject to: (i) your MBNA credit card account being in good standing during the promotional period, and (ii) your financial status not having changed since the date we initially determined that your account was eligible for a promotional AIR. The promotional AIR will increase at the end of the promotional AIR period or if you are late making any minimum payment, and any remaining balances will become subject to the applicable standard AIR. ✪ Balance transfers and access cheques must be repaid and otherwise dealt with according to the terms of your Account Agreement and are subject to credit availability. Balance transfers and access cheques cannot be used for repayment of any account established or maintained by MBNA or its affiliates. A transaction fee may apply. See your Account Agreement for full details. The Transaction Fee for balance transfers subject to this offer is 1% of amount advanced, minimum fee of $7.50. †† To qualify for this offer, an applicant must be approved for the specific credit card account described in the offer. Please allow 8 -10 weeks from the account approval date for bonus points to be posted to your points account. Limit one-time bonus point offer (no cash value) per new account. This promotion is offered by MBNA and may be amended or cancelled at any time without notice. Ready to become a DUC MasterCard® holder? Visit MBNA to apply now.